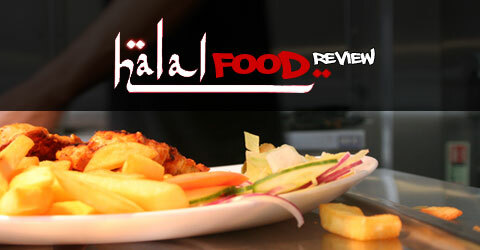 Salaams and welcome to the latest edition of the Halal Food Review. This week’s review takes me back to the Balti Belt and the Al Faisals restuarant on Stoney Lane in Sparkbrook. For regular readers of the blog you’re fully up to speed with my view that the Balti belt has seen better days but even in demise there are some stand out crown jewels and for as long as I care to remember one of those has been Al Faisals. So it is with trepidation that I decided to review Al Faisals for the blog. I want it to do well but for it to get a good review it really needs to deliver. This blog doesn’t do favours just flavours! Al Faisals has firmly placed itself at the premium end of the balti market, for those looking for halal food in a tee total environment there is not a better dining destination in terms of décor and ambiance. From the street view you are greeted by a chic black exterior with large windows that provides a full view of the interior. Parking is available for customers across the road and Al Faisals stands out as a lone beacon of Balti goodness on the Stoney Lane, whilst the remains of the old Adil’s Balti House lay in ruin awaiting reconstruction. Walking into the restuarant you are enthusiastically greeted by the waiting staff, if you arrive early for your meal there is a sofa area with LCD screen to keep you entertained whilst your guests arrive. The Al Faisals management share my passion for sport so its a great place to chill out whilst waiting for friends and family. The restuarant has a significant amount of covers and there is also a space upstairs that can be hired for conferences, parties, product launches. The layout of the restuarant lends itself to offering a range of seating choices for both smaller and larger dining parties. At the back of the restuarant there is an open plan kitchen which diners have full view of which again adds to the dining experience. Our party of four included one toddler and a newborn and Al Faisals is one of the city’s better restaurants when it comes to accommodating family diners in the best of Kashmiri traditions and this was reflected in the number of diners who had brought children and babies with them. I feel its important I flag up a couple of points in reference to the toilets which sounds odd for a food review but Al Faisals have excellent toilet facilities and most importantly they also have toilet facilities for disabled diners and a nappy changing facility within the disabled toilet. Little things like this go a long way to making a restuarant welcoming long before you try anything on their food menu. Every meal at Al Faisals begins with a tray of poppadoms and pickles and sauces which keep you going as you look through the menu. The pickle and sauce selection is fantastic including traditional pickles, mango chutney, chilli sauces and mint and yoghurt based sauces. A tip to any diner is to keep a selection of your favourite sauces off the tray for when your starters and mains arrive. For starters we ordered the chicken boti and lamb boti. Our mains selection included chicken tikka masala, karahi ghost, pilau rice and a traditional naan. We also ordered a jug of the famous Mango lassi. Our starters arrived promptly and were a generous portion. Both starters come with a generous accompaniment of a side salad which is inventive, colourful and places most balti restuarant side salads to shame. The chicken was beautifully cooked as was the lamb which comes a generous coating of masalas that add a fusion of flavour to the tender taste of the lamb. Al Faisals remains one of the only balti restaurants that serve their food on warm plates which goes a long way to keeping the food warm throughout your meal. Maryam the most demanding eater at the table happily ate from both the lamb and chicken starters. At this point its also worth pointing out the excellent level of customer service at Al Faisals. Drinks were promptly served, water was provided, a smaller glass and a straw was provided for Maryam and they were attentive to any requests we had. The Mango lassi at Al Faisals in my humble opinion is the best I’ve tasted anywhere, its thick, creamy and an absolute delight! I would recommend that an Al Faisals dining experience would not be complete without trying the Mango lassi. Prices by the glass are a bit steep so if you are in a larger dining party I would definitely recommend ordering a jug, believe me when I say it will be finished! Speaking of Mango lassi, Maryam had an accident with her glass when she decided to go all greek and smash her glass to the floor! Again the customer service at Al Faisals comes to the fore, they were prompt in clearing up the mess and the glass and didn’t make you feel like you’ve just committed murder! The mains of Karahi Ghost and Chicken Tikka Masala were equally satisfying. The Karahi ghost was rich in flavour and texture and the ghost was served in small bite sized pieces that makes it easier to consume especially for younger diners. The chicken tikka masala was equally well flavoured, mild and the chicken was cooked to perfect. Both dishes went really well with the naan and rice accompaniments. I have yet to come away from eating at Al Faisals feeling disappointed, its become one of the rarities of the balti dining circuit in Birmingham a virtual banker for quality of service and food. The dining space is first rate, the customer service is excellent and the food is of the highest standard and attention is paid to the finer details of extras that add that premium value to the experience which is reflected in the prices which are higher than anywhere in the balti triangle. I would definitely recommend Al Faisals to any readers particularly parents, large dining parties and those entertaining guests from out of town. Price – 8 – Definitely the most expensive option in the balti triangle but you definitely get a premium experience.